The Emile Hostel is situated in the heart of town within walking distance of all tourist attractions, shopping area, restaurants, and just 30 seconds away from Casemates square where you have a variety of pubs. Here we have dormitory rooms, doubles and single rooms available. Our facilities include 42 beds, showers, free linen and duvets, left luggage, tourist information, and other amenities. Our professional and friendly staff will provide you with excellent information on what to do and see. Excursions in Gibraltar, Spain and Morocco can also be arranged. 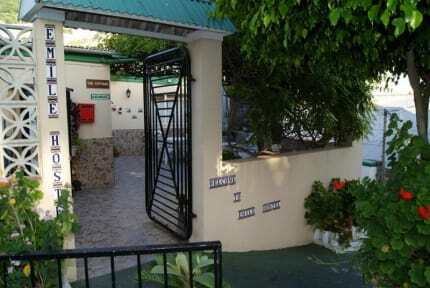 The hostel is a family operated business offering an excellent customer service in a relaxed and multicultural atmosphere. I enjoyed my stay vert much Thank you. The owner seems a bit grumpy but the other staffmembers are really nice. The beds are super new and you sleep good. The rooms don't have any thing to lock away your stuff but there is always somebody at the hostel. 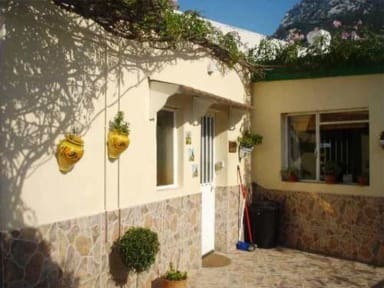 In comparison to other hostels in Spain it is expensive, we just need to remember it's GB. After reading the reviews I expected a wild West experience but it was totally harmless. Expensive yes, and the room was yes lockless but I had no 72kg diamonds with me anyways. I found the owner friendly and polite. One night was all good. I didn’t have the best experience here. I’ve been to way better hostels for less than what I paid. It was in a good location. I wasn’t allowed to use the kitchen and the place was run down. Was kept clean often. So very appreciative for that. Next time I’m in that area I’d go for a Airbnb. The rooms weren’t locked and the front doors were kept open most of the for all day. Someone could have easily walked in. I am a solo traveller & I felt a little uncomfortable here. The owner's mood was very hit & miss, he was a bit vague in his explanations of activities to do in Gib & he appeared to be more interested in the locals & his family when they were in his cafe. There were no kitchen facilities, the bedroom door did not lock, & the showers had almost too much water pressure. In the mornings music blared from around 8am that woke me up. It was not worth the price 23 per night for a 4 bed mixed dorm. No card payments accepted. Archaic for 2019. Told keys would be issued upon payment; on paying in cash, told room doors do not lock. False, since locks present on all room doors. Asked for key again, reluctantly given key and told doors were to be replaced in the morning. They were not. Key given did not work. Room therefore always open. No running water the following morning! Both toilets always dirty and no self catering facilities. Man sleeping for at least two nights in communal area. Awful. There was absolutely nothing good about this hostel. We arrived late on Friday night the 22nd of March 2019 to be told by an employee that they were 'all booked up', despite us having two separate reservations. When questioned about this he sat down and continued smoking while waiting for someone to ring him. Eventually we got sorted with empty beds but they wanted our passport 'for safe keeping'. Obviously we didn't oblige. I haven't enough characters to review in full but avoid at all costs!